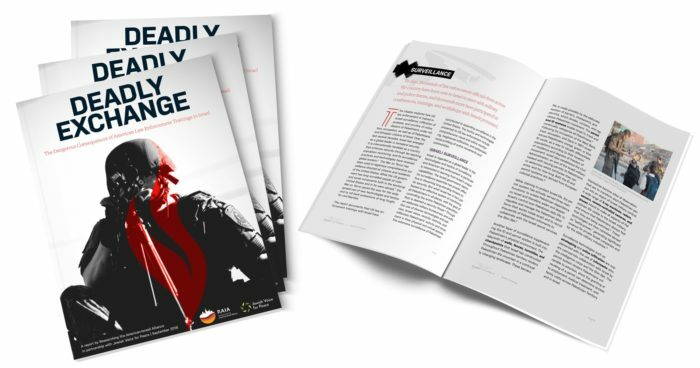 Jewish Voice for Peace is horrified by the Israeli response to the #GreatReturnMarch, in which tens of thousands of Palestinian refugees in Gaza are marching peacefully inside of Gaza. At the time of this writing, at least eight Palestinians have been killed and over 500 injured. 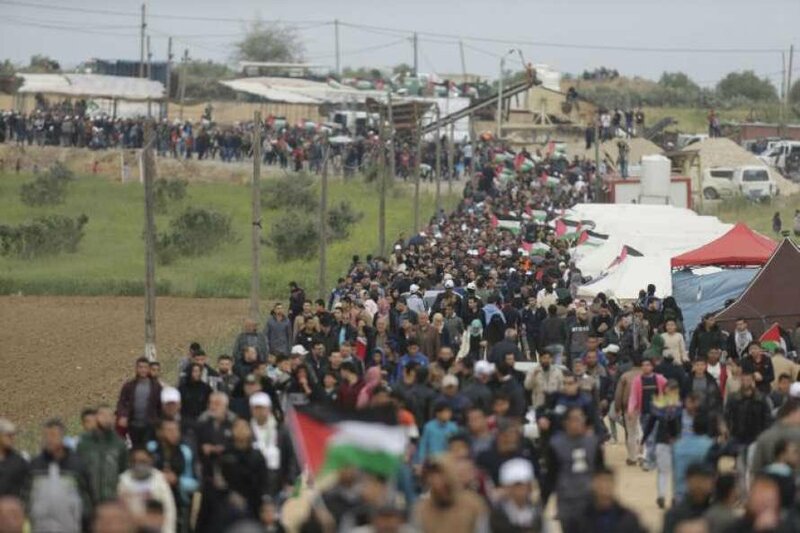 The Great March of Return was explicitly planned as a peaceful march along the border of Gaza and Israel, where tent cities are erected, from Land Day on March 30 to Nakba Day on May 15. Land Day commemorates Israel’s crushing of a general strike and mass protest by Palestinian citizens of Israel. Land Day protests, like the upcoming 70th anniversary of the Nakba protests, are held annually, part of long history of palestinian mass popular resistance to Israeli aggression. Organizers of the Great March of Return have clearly called this a nonviolent march affiliated with no political parties. In the U.S., many of us are participating in mass protests against repressive government policies. More than ever we all should understand the power of gathering publicly to say “enough!” Yearning to be freed from imprisonment and for basic rights simply cannot be stopped by violent force – our own age-old stories, which we will recount again tonight, tell us so. Executive Director Rebecca Vilkomerson is available to speak with the media.